Besides alcohol, other legal and illegal drugs are being used more often. Laws prohibit the possession or use of many drugs while on duty. They prohibit being under the influence of any “controlled substance,” an amphetamine (including “pep pills” and “bennies”), methamphetamine, narcotics or any other substance that can make the driver unsafe. This could include a variety of prescription and over-the-counter drugs (cold medicines) that may make the driver drowsy or otherwise affect safe driving ability. However, possession and use of a drug given to a driver by a doctor is permitted if the doctor informs the driver that it will not affect safe driving ability. Pay attention to warning labels of legitimate drugs and medicines and to doctorʼs orders regarding possible effects. Stay away from illegal drugs. Do not use any drug that hides fatigue - the only cure for fatigue is rest. Alcohol can make the effects of other drugs much worse. The safest rule is do not mix drugs with driving at all. Use of drugs can lead to traffic accidents resulting in death, injury and property damage. Furthermore, it can lead to arrest, fines and jail sentences. It can also mean the end of a personʼs driving career. Once in a while, you may become so ill that you cannot operate a motor vehicle safely. If this happens, do not drive. However, in case of an emergency, you may drive to the nearest place where you can safely stop. All drivers should know something about hazardous materials. 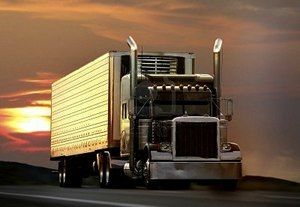 You must be able to recognize hazardous cargo and whether or not you can haul it without having a Hazardous Materials Endorsement added to your CDL license. Contain the product - Many hazardous products can injure or kill on contact. To protect drivers and others from contact, the rules tell shippers how to package safely. Similar rules tell drivers how to load, transport and unload bulk tanks. These are containment rules. Communicate the risk - The shipper uses a shipping paper and package labels to warn dock workers and drivers of the risk. Shipping orders, bills of lading and manifests all are examples of shipping papers. The shipping paper describes the hazardous materials being transported. Shippers put diamond-shaped hazard warning labels on most hazardous materials packages. These labels inform others of the hazard. If the diamond label will not fit on the container, shippers put the label on a tag. For example, compressed gas cylinders that will not hold a label will have tags or decals. On the driverʼs seat when out of the vehicle. Placards are used to warn others of hazardous materials. Placards are signs put on the outside of a vehicle that identify the hazard class of the cargo. A placarded vehicle must have at least four identical placards. They are put on the front, rear and both sides. Placards must be readable from all four directions. They are 10 3/4-inches square, turned upright on a point, in a diamond shape. Cargo tanks and other bulk packaging display the ID number of their contents on placards or orange panels. Not all vehicles carrying hazardous materials need to have placards. The rules about placards are in Section 9. You may drive a vehicle that carries hazardous materials if it does not require placards. If it requires placards, you must not drive it unless your driverʼs license has the Hazardous Materials Endorsement (HME). 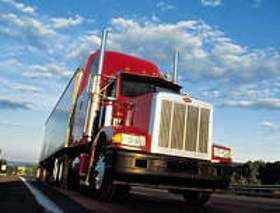 The rules require all drivers of placarded vehicles to learn how to safely load and transport hazardous products. They must have a commercial driverʼs license with the Hazardous Materials Endorsement. To get the endorsement you must pass a written exam on information in Section 9. You also must obtain a Tank Endorsement if you transport hazardous products in a cargo tank on a truck larger than 26,000 pounds gross vehicle weight rating. Drivers who need the HME must learn the placard rules. If you do not know if your vehicle needs placards, ask your employer. It is against the law to drive a vehicle needing placards unless you have the HME. When stopped, you will be cited and will not be allowed to drive your truck any further. It will cost you time and money. Failure to obtain a placard when needed will risk your life and others if you have an accident. Emergency help will not know of your hazardous cargo. Hazardous materials drivers also must know which products they can load together and which they cannot. These rules also are in Section 9. 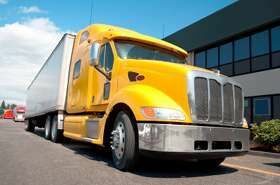 Before loading a truck with more than one type of product, you must know if it is safe to load them together. If you do not know, ask your employer. Be sure to memorize the definition of Hazardous Materials. Even if you don't plan on obtaining your Hazardous Materials Endorsement, you still need to know some basic info about hauling it. You don't need to memorize this, but make sure you understand and are familiar with the main two reasons for HAZMAT rules and regulations. It is very important to memorize the below list. These are the only places shipping papers may be kept when transporting hazardous materials. Not only is there a good chance this will be asked on the written exam, but law enforcement does check for this in the real world. Make sure you're familiar with what placards are and how they must be displayed. Also remember that not all vehicles carrying hazardous materials are required to display placards. You don't need to know which vehicles are exempt from displaying placards or the reason why. Simply understand that some vehicles carrying small amounts of hazardous materials are not required to display placards. You don't need to memorize this entire table, but you should look it over and be familiar with the different classes of Hazardous Materials. Shipping Papers After an accident or a hazardous material spill or leak, you may be injured and unable to communicate the hazards of the materials you are transporting. Firefighters and police can prevent or reduce the amount of damage or injury at the scene if they know what hazardous materials are being carried. The Department of Transportation is extremely strict about these guidelines. If you plan on carrying any type of hazardous materials, be certain to follow these rules regarding where shipping papers are to be kept. Even if you aren't planning on acquiring a hazardous materials endorsement or carrying any hazardous material loads, you are still required to have basic knowledge about hazardous material regulations. Questions like this are likely to show up on your written exam. If a hazardous materials load requires placards, where must they be displayed? Even if you are not planning on obtaining your hazardous materials endorsement, some various general knowledge questions will be asked about hazardous cargo. Which statement is true about hazardous material cargo? Not all vehicles carrying hazardous materials need to have placards. While driving with hazardous materials, where should you keep the shipping papers? Hazardous materials are products that pose a risk to health, safety and property during transportation.